Emory's Candler School of Theology has received a $100,000 grant for its Youth Theological Initiative (YTI) from the General Board of Higher Education and Ministry’s Young Clergy Initiative (YCI), a program of The United Methodist Church (UMC) designed to help increase the number of young clergy in the denomination. The funds will support Candler's YTI Summer Academy, which brings 40 high school students from across the nation and world to Emory's Atlanta campus for a three-week, intensive study of Christian theology and ministry. "This grant from the Young Clergy Initiative will enable Candler's Youth Theological Initiative to partner with United Methodist churches more intentionally," says Elizabeth Corrie, director of YTI. "Our hope is that youth who come to the Summer Academy will be able to explore their sense of call while also becoming better equipped as leaders in the denomination." Established in 1993, YTI has now enrolled more than 1,000 youth from across the U.S. and around the world. During the Summer Academy, participants wrestle with deep theological questions in a supportive community of peers and are taught by seminary students and faculty at Candler. Diversity abounds, as participants are drawn from different theological and socioeconomic backgrounds. Nearly half are students of color. Throughout the residential experience, participants not only engage in vigorous dialogue in the classroom, but also explore metropolitan Atlanta as a way to contextualize their learning, including visits to cultural sites, various faith communities and local urban ministry programs. "Our project is aimed at extending the established work of YTI to benefit young Methodists and UMC congregations more directly," says Corrie, who is working to form strategic partnerships with specific United Methodist churches and organizations in order to further strengthen recruitment. The YCI Fund was created by the 2012 General Conference of The United Methodist Church to support efforts to increase the number of young clergy in the denomination. In all, YCI awarded 75 grants, ranging from $5,000 to $100,000. 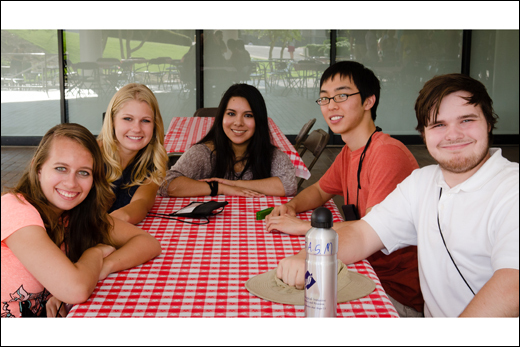 The next YTI Summer Academy will be July 5-25, 2015. Applications are due March 2, 2015. For more information about YTI and how to apply, visit yti.emory.edu or email yti@emory.edu.